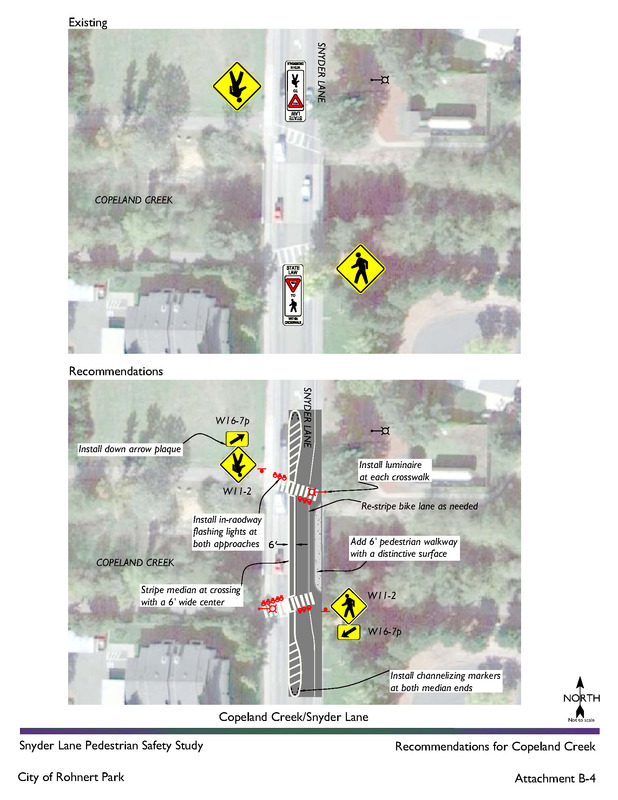 This study was prepared for a section of roadway in the City of Rohnert Park that connects a high school and middle school and has a mid-block crossing serving a popular multi-use pathway. 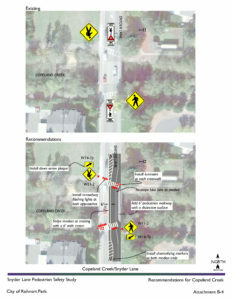 Because the city has long-range plans to widen the roadway, improvements were recommended for both short-term implementation and as part of the future street widening project. W-Trans staff performed site visits during the mid-afternoon in order to observe pedestrian travel patterns for students leaving both the middle school and the high school, and developed recommendations to improve pedestrian safety at each of the intersections along the corridor by providing enhanced signing and markings as well as adequate lighting of sidewalks and crossings.